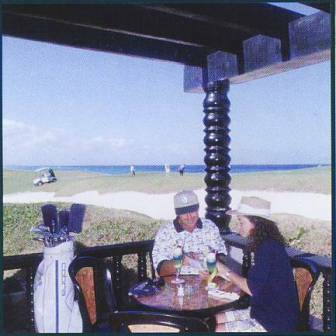 Located right on Varadero Beach, the golf course has the sea around it and the Dupont Mansion beside it. This beautiful summer home of Irenee Dupont de Nemours was built between 1928 and 1930. The accomodations are superior. There is a bar at the top which provides a wonderful view. If you are a golfer, you can have an unforgettable few days by booking a golf package with accomodation in the Mansion. Fly in to the international airport at Havana or Varadero. The golf course is open every day, but reserve 24 hours in advance. Even if you don't golf, you can tour the Xanadu Mansion and have a drink overlooking the golf course.